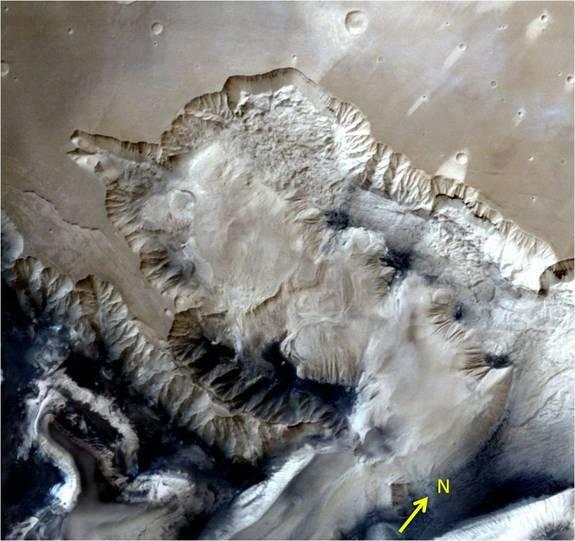 The images, sent back by India's Mars Orbiter Mission (MOM), show Ophir Chasma, a portion of the massive Valles Marineris system that stretches across much of the planet's equator. The images were taken July 19 and have a resolution of about 315 feet (96 meters). The new images show the chasm from above and two different views of the sides, revealing hills, small impact craters and gullies shaped by landslides. The images of Pluto that the New Horizons probe beamed across 3 billion miles of hard vacuum are, in a word, breathtaking. Towering mountains of ice, smooth plains, a wan alien landscape. 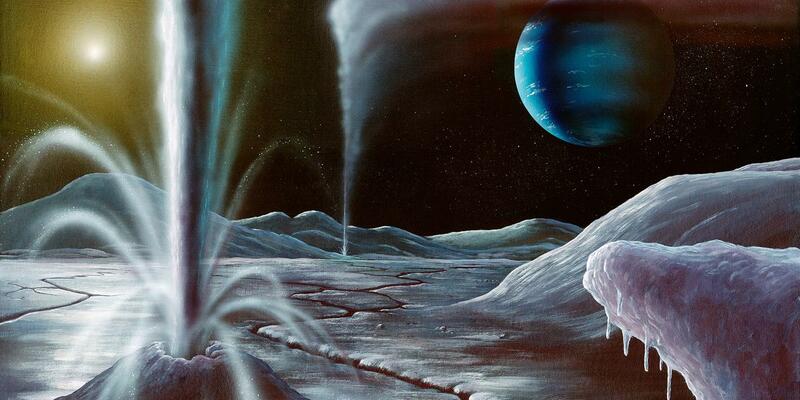 They're amazing not only for what they tell us about Pluto, but for instilling wonder at seeing something human beings have until now only imagined and speculated upon. 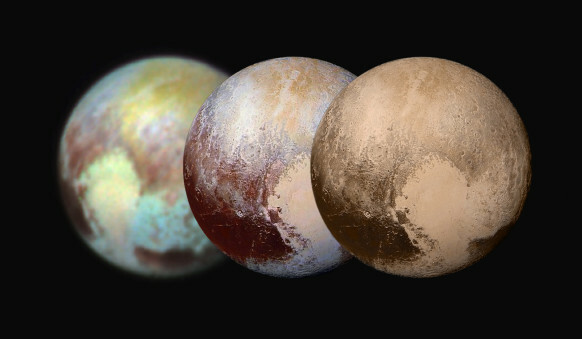 The photos are composites of multiple images taken by three sophisticated cameras aboard New Horizons. Alice is an ultraviolet imaging spectrometer. The Long Range Reconnaissance Imager (LORRI) is essentially a black-and-white digital camera with a telephoto lens sporting an 8.2-inch aperture. Ralph features three black-and-white and four color imagers; it is the probe's primary "eye" and the reason you're seeing such vivid color. It offers resolution 10 times that of the human eye. As far as NASA's concerned, what you see here is what you'd see if you were out there. It's not just Earth that has volcanoes blasting stuff onto the surface. Other worlds do too. Volcanoes have shaped the Earth. By pumping hot molten rock onto the surface, they have built new lands. The islands of Hawaii were formed by underwater volcanoes that blasted out so much rock, it reached above the surface of the sea. Volcanoes have also changed the makeup of the atmosphere. By pumping greenhouse gases into the air, they have ensured that the planet doesn't freeze over – well, most of the time. But Earth isn't the only world with volcanoes. The more we explore the solar system, the more we find that they are common, and they can dwarf our homemade ones. 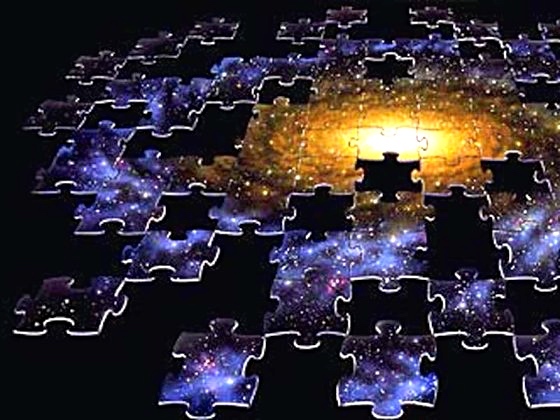 Scientists claim an 'imminent' collapse of the universe will take place sooner than expected. According to a new study, galaxies could rip themselves to shreds in tens of billions of years – a relatively short time in cosmological terms. If the scientists are right about their theory, it may help explain the presence of dark energy and why the rate of expansion in the universe has accelerated. Many theoretical physicists believe the universe could end someday – and the process is likely to have already begun. While no one knows for certain how it will happen, there are three leading theories dubbed the big crunch, the big rip and the big freeze, that could lead to our demise. NASA astronauts Butch Wilmore and Terry Virts performed a second spacewalk outside the International Space Station on February 25, 2015 to ready the outpost for a pair of new docking adapters arriving this summer. Space station commander Butch Wilmore and Terry Virts switched their spacesuits to internal power at 6:51 a.m. EST, ahead of leaving the station's Quest airlock, beginning the second of three planned spacewalks during an eight day stretch. 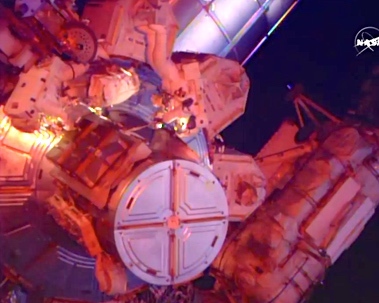 The duo quickly went to work beginning the nearly seven hour spacewalk by moving over to their work site -- a former space shuttle docking port.